The 10th Annual Sonoma County Youth Grapevine Pruning Contest and 7th Annual Viticulture Challenge will be held on Saturday, January 18, at 9:30am with registration check-in beginning at 9:15am. This event will be at SRJC Shone Farm, 6225 Eastside Road, Forestville. Entry forms are due no later than January 15, 2014. The contest will be judged on skill, speed and safety. Pruning shears or loppers may be used. 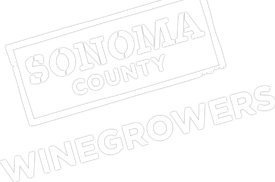 The Pruning Contest is open to all Sonoma County Youth, including 4-H, FFA and High School Viticulture students in the following age brackets: Ages 9 – 11, Ages 12 – 13, Ages 14 – 15, and Ages 16 – 19. The Viticulture Challenge is also open to students aged 5-8. Individual and team prizes will be awarded. Refreshments will be served. The contest is open to the public and admission is free. Students interested in competing in the January 18, Pruning Contest and/or Viticulture Challenge must submit their Application Form no later than January 15, 2014. Sponsoring this event are: Valdez & Sons Vineyard Management, BWS, Cameron & Cameron, Vineyard Industry Products, Richard & Saralee Kunde, Debbie & Kirk Lokka, Leveroni Vineyards, Russian River Valley Winegrowers, Winegrowers of Dry Creek Valley, Sonoma Valley Vintners & Growers Alliance, Alexander Valley Winegrowers, and the Sonoma County Winegrape Commission. Special thanks and recognition go to the SRJC Ag and Natural Resource Department’s Merilark Padgett-Johnson, Mark Sanchietti and Chris Wills for making this event possible at Shone Farm.